I’ve always struggled terribly with my feet. I can honestly say I have never put on a pair of shoes that didn’t hurt – at least a little bit, and at least for a few weeks, while I ‘wore them in’. I have extremely high arches and, as a result, I just haven’t ever been able to find shoes that seem to have been made for feet like mine. The idea of putting shoes on and instantly being able to walk long distances, pain-free, was alien to me. Heels are absolute agony and I am yet to keep a pair on for longer than half an hour. 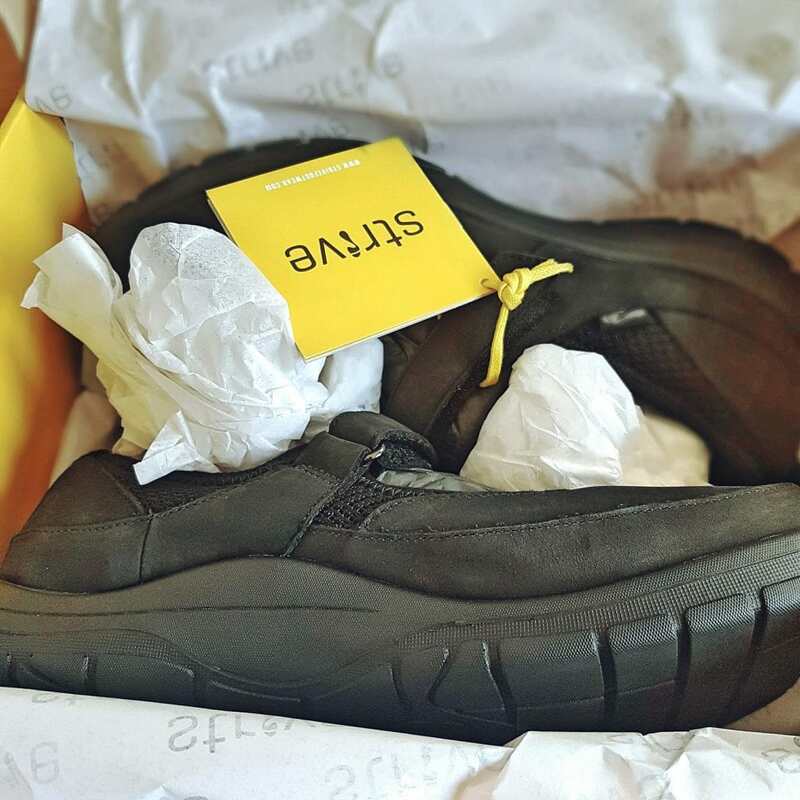 Therefore, when Strive contacted me to try their autumn and winter range of shoes, I jumped at the chance, as they are just the type of shoes I wear for general day-to-day use, in order to minimise my discomfort. I am always searching for shoe brands that claim they can reduce the discomfort I so regularly feel. When I first put the shoes on, I was pleasantly surprised; they were extremely soft and comfortable from the outset. I then subjected them to an extremely busy day; I attempted the supermarket in the morning and then a two-hour appointment at the child-development centre for some assessments for Biggest in the afternoon. I was on my feet, running round the shops or chasing the children, for over six hours – my feet would usually be unbearable by the end of such a day. So how did my feet feel when we finally got home, exhausted? Not even a little bit. I think Strive’s 3D footbed technology is just what my feet have been missing. As I have such a high arch, my feet just don’t often get the support they need in traditional shoes. The style of the shoes is fairly basic and they look like a shoe/trainer hybrid. However, they are smart enough that I could have easily worn them for school, if I was still teaching. I only wish I could have discovered them then; my feet were often in agony after a day spent constantly on the move in the classroom. They are honestly the most instantly comfortable pair of shoes I have ever worn. 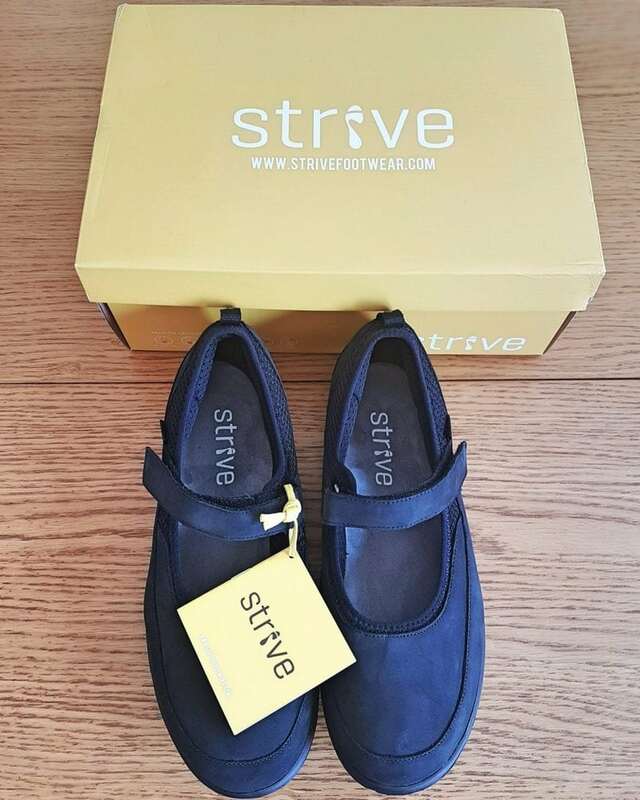 Verdict: Strive shoes are extremely comfortable and practical. I am genuinely a new fan and will almost certainly buy from them in the future – I have my eye on a pair of their slippers for Christmas! Check out our Strive Summer Footwear Review too. Please note, Strive gifted me the Idaho shoes for the purposes of this review. However, I only share products that I genuinely love and all words and opinions are my own. Oh wow! These shoes sound amazing! I’m off to have a look at the website now. They genuinely are so comfortable. 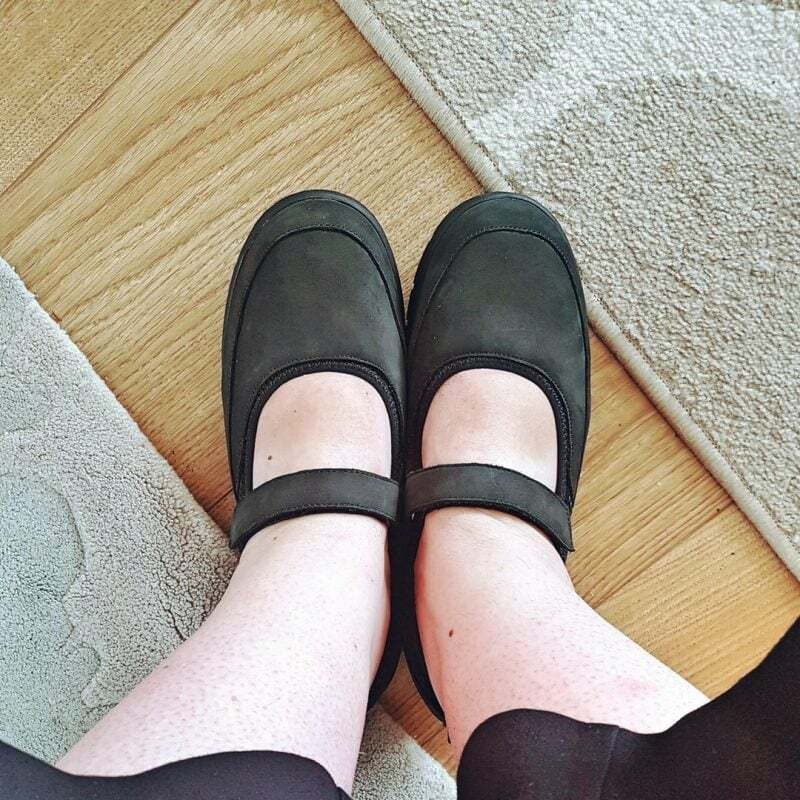 If you’ve struggled to find comfy shoes before I really recommend them especially! If you really struggle to find shoes that don’t hurt I really recommend them. Still wearing a few weeks later and they don’t hurt even a bit! I found these shoes is a good choice, especially for people who have to move around with arch pain, like me. I’ll definitely will try it.